UK SPIES ACTED illegally when they scooped up data about Britons’ electronic communications gathered by the US National Security Agency (NSA), a court ruled in a landmark judgment against Britain’s security services. But the judges said now that details of the practices are known, they are within the law. Britain’s Investigatory Powers Tribunal, which handles complaints against the intelligence services, ruled in a case brought by civil liberties groups against the electronic intelligence agency, GCHQ. It was the first time the tribunal has ruled against an intelligence agency. It said before December 2014, “the regime governing the soliciting, receiving, storing and transmitting by U.K. authorities of private communications of individuals” gathered by the NSA contravened European Union protections of privacy and freedom of expression. But it ruled the practices were now legal — because the lawsuit had made details of the procedures and safeguards public. The rights groups brought the case after U.S. intelligence analyst Edward Snowden’s disclosures about the mass harvesting of communications data. Snowden leaked details of NSA programs known as PRISM — which accessed data from Internet firms such as Yahoo and Google — and Upstream, which tapped into undersea communications cables. The groups that brought the claim — Liberty, Privacy International, Bytes for All and Amnesty International — called the judgment a partial victory. 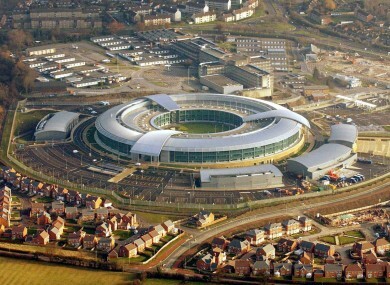 The judgment does not require GCHQ to pay a fine or delete any data, though individuals can ask the tribunal to find out whether their communications were intercepted unlawfully. If so, the GCHQ could be forced to delete it. Email “NSA sharing data with British spies was illegal... but it's not going to stop”. Feedback on “NSA sharing data with British spies was illegal... but it's not going to stop”.